We are excited to offer one of Merlin’s established large cap growth investment strategies in an active ETF format. Merlin Asset Management is pleased to announce the recent launch of the Fieldstone Merlin Dynamic Large Cap Growth ETF (FMDG). FMDG was listed on NYSE’s ARCA exchange on August 21. The ETF is managed by Michael Obuchowski Ph.D., a veteran large cap growth equity manager. Mr. Obuchowski is the Founder and Chief Investment Officer of Merlin Asset Management. FMDG is among the first actively managed large cap growth equity ETFs in the industry. With low turnover and benchmark agnostic, FMDG is designed to invest in a carefully selected, concentrated portfolio of large cap growth companies listed on US exchanges. FMDG has 25 holdings with an expense ratio of 0.80%1. When launching FMDG, Merlin Asset Management turned to Nottingham, which helped the asset manager quickly and efficiently launch the product using its series trust. It is the first active ETF sub-advised by Merlin Asset Management. Enabling the portfolio manager to use an established, repeatable and scalable process that seeks to outperform the large cap growth equity universe over an economic cycle. FMDG offers investors a unique combination of active stock selection and the traditional benefits of ETFs in general, which include low costs, tax efficiency, intraday liquidity, and transparency. FMDG serves as an attractive core holding to provide investors with exposure to companies Merlin regards as market leaders among high quality, fast growing large companies trading at attractive valuations, or as a high-growth complement to passive, index-oriented strategies, potentially enhancing returns. FMDG provides consistent large cap growth equity exposure while striving to mitigate individual security risk. To find out more about Fieldstone Merlin Dynamic Growth Large Cap Growth ETF (FMDG), visit: http://www.merlinetf.com. Merlin Asset Management is an independent, employee-owned investment management firm. Merlin specializes in developing and managing equity investment strategies focused on investing in the best US listed large cap growth companies. Merlin Asset Management's large cap growth equity strategies are benchmark agnostic and are characterized by high conviction, high active share and low turnover. Merlin's investment strategies are offered as Separately Managed Accounts (SMA) and as an active Exchange Traded Fund (ETF). 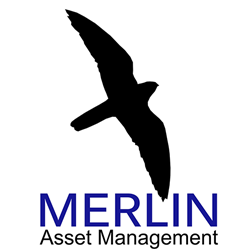 To find out more about Merlin Asset Management, visit: http://www.merlinam.com. Nottingham has been serving clients in the fund industry for decades by providing fund organization, fund accounting and fund administration, among other services. It is proud to offer its series trust to innovative asset managers, like Merlin Asset Management, that seek to launch exchange-traded funds (ETFs). To find out more about Nottingham, visit http://www.ncfunds.com. An investment in the Fund is subject to investment risks, including the possible loss of some or the entire principal amount invested. There can be no assurance that the Fund will be successful in meeting its investment objective. While the shares of the Fund are tradable on secondary markets, they may not readily trade in all market conditions and may trade at significant discounts in periods of market stress. ETFs trade like stocks, are subject to investment risks, fluctuate in market value and may trade at prices above or below the ETFs net asset value. Brokerage commissions and ETF expenses will reduce returns. More information about these risks can be found in the Fund's prospectus. An investor should consider the investment objectives, risks, and charges and expenses of the Fund before investing. The prospectus contains this and other information about the Fund. A copy of the prospectus is available at http://www.ncfunds.com/fundpages/425.htm or by calling Shareholder Services at 800-773-3863. The prospectus should be read carefully before investing. Current and future holdings are subject to change and risk. 1 The Sub-Advisor has entered into an Expense Limitation Agreement with the Fund under which it has agreed to waive or reduce its fees and to assume other expenses of the Funds, if necessary, in an amount that limits the Fund’s annual operating expenses (exclusive of interest, taxes, brokerage fees and commissions, extraordinary expenses, acquired fund fees and expenses, and payments under the Rule 12b-1 distribution plan) to not more than 0.80% of the average daily net assets of the Fund through August 31, 2018. The Expense Limitation Agreement may not be terminated prior to that date. The Sub-Advisor cannot recoup from the Fund any amounts paid by the Sub-Advisor under the Expense Limitation Agreement. However, net annual operating expenses for the Funds may exceed those contemplated by the waiver due to expenses that are not waived under the Expense Limitation Agreement.